Lake area varies greatly according to rainfall, with an average range between 114 and 991 sq kms. At the beginning of the 20th Century, Naivasha completely dried up and effectively disappeared. The resulting open land was farmed, until heavy rains a few years later caused the lake to return to existence, swallowing up the newly established estates. Afternoon wind and storms can cause the Lake to become suddenly rough and produce high waves. Main road access to Naivasha is directly from Nairobi by bus/Matatu or private transport. The main highway continues from Naivasha to Nakuru. Naivasha is just over an hour from Nairobi. There is an airstrip in Naivasha, with charter flights available. Some lodges and guesthouses here have private airstrips. Many hotels and lodges here can organize transfers from Nairobi to Naivasha. 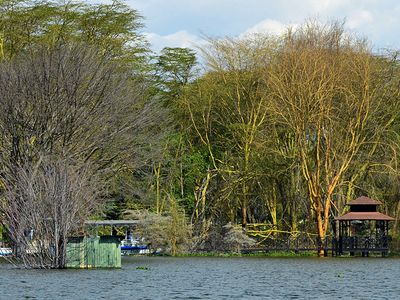 Most of the places of interest in Naivasha are around the Lakeshore, out of town. There are taxis available in Naivasha town. A private car is a good way to explore this region. Many hotels and Lodges organize local excursions. 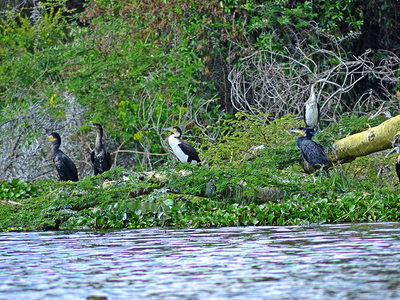 Here's the our members favorite photos of "Lakes near Naivasha". 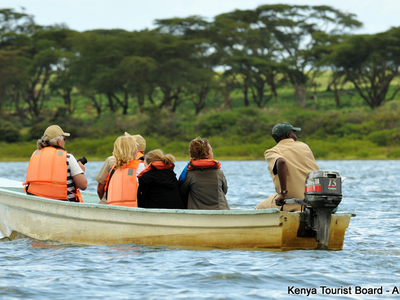 Upload your photo of Lake Naivasha! Get in touch with 16 Touristlink members who want to visit Lake Naivasha or with Kiboko Safaris, Simon Milambo and 103 others who already have been here.